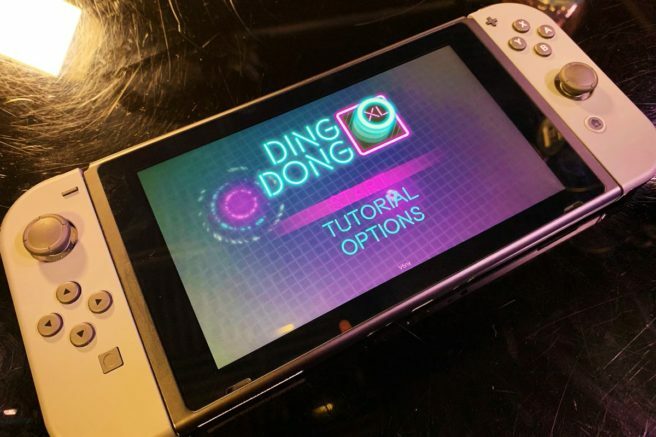 The one-button arcade game Ding Dong XL is coming to Switch. That’s according to Kinda Funny’s Greg Miller, who has shown the game running on Nintendo’s system. Pressing the Ding Dong button allows you to cross the screen from top to bottom or vice-versa. Wait for the proper timing and don’t hit enemies. Easy one button control with a Gamepad/Controller, Keyboard, or mouse. ‘Close Call’ system that awards extra points for close calls with obstacles. This is an ‘XL’ version of my popular mobile game ‘Ding Dong’. I have added/changed a variety of things to make it more suitable for the Steam platform and improved a lot of code and features based on knowledge gained since I originally made it. I have been learning to make games by making games and love creating small-yet-solid arcade games with simple mechanics. Please expect ‘Ding Dong XL’ to be a small, re-playable, arcade score-chaser game where the only basic goals are to constantly beat your previous score and unlock a handful of cosmetic skins for the character. I greatly appreciate feedback and will do my best to ensure support for my games. Please contact me through Twitter, My Website, or the forums if you encounter something wrong with the game, something misleading on the store page, or you just want to say hello. A release date for Ding Dong XL on Switch has not yet been announced.